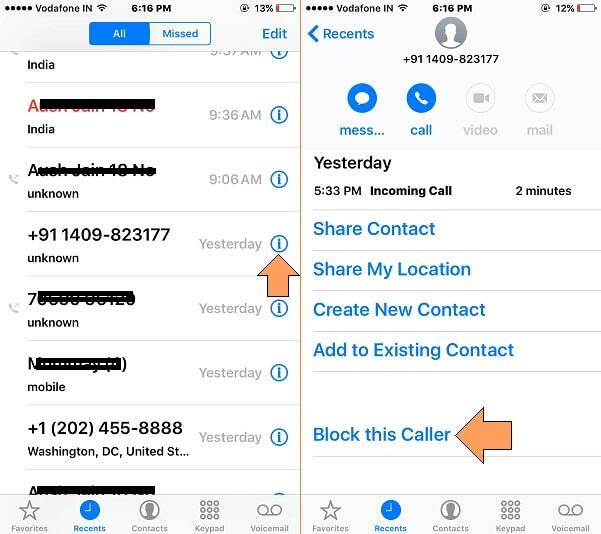 For the New iOS Devices users (iPhone/ iPad cellular) doesn’t any idea how to reject or busy tone from iPhone for an incoming call. This tip worked amazingly based on my personal experience When I switched from android to iOS. As we know and our experience on Other Mobile operating systems, an incoming call on unlocked screen may reject it. I feel different call show different screen, But nothing I have a straight solution for both the screen and Circumstance. 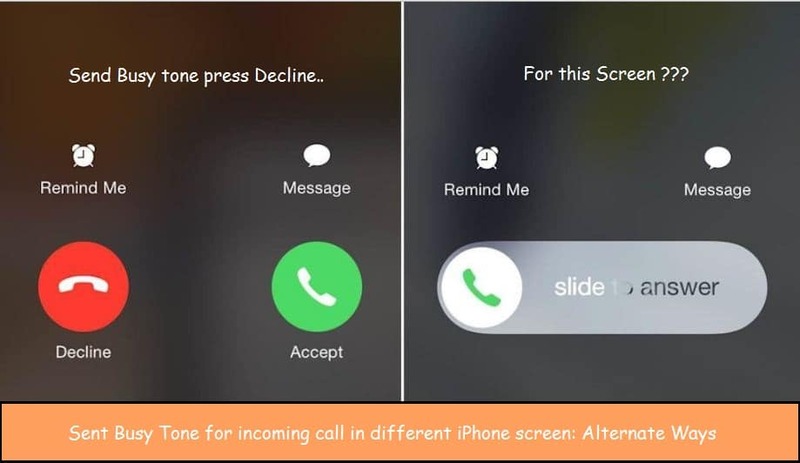 The main thing you learn from here is that Send busy tone from iPhone for an incoming call when you show the slide to answer screen or you can block unknown calls on iPhone. On time when a call is coming to your iOS device, you need to press Sleep/ Wake button once for a mute ring or Vibrate disturbance Then Second Press on Sleep/ Wake button reject a call. At the caller, you have been sent busy tone automatically setup by your Carrier. Means two-time direct press on Slide Sleep/ Wake button put an incoming call in buy mode. 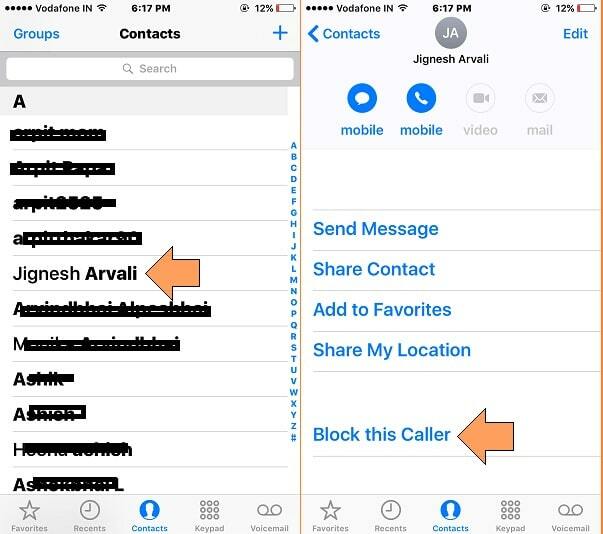 We can use block contacts features for sending a busy tone when an unwanted call comes to you. For Saved contacts on the iOS device, Open Contact App > Find contact > Tap on it > Move down on screen > Tap on Last option Block the caller. For the unknown number, Under Recent Tab > Tap on (i) icon > Move to down > Tap on Block, this caller. Further discussion on sending a busy tone from iPhone for an incoming call or to Caller, participate in comments.